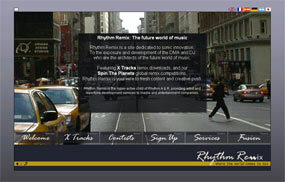 Rhythm Remix is a high-tech site directed towards digital music artists. It is built in a combination of Flash, dynamic XHTML, and CSS, with several interconnected databases providing content from the back end. When complete, the site will feature multiple languages, discussion forums, music remix contests, and paid track downloads. Not everything is working yet. Check it out here! (under development). Spanish River Carbonatite is a unique mineral deposit in Northern Ontario. It was discovered by a family of organic farmers and geologists, who were interested in its potential as a remineralizing soil amendment. It turns out to be an incredibly effective mineral supplement, not only for organic agriculture, but for conventional farming and horticulture as well. We are in the process of building this website as an information source on the benefits of carbonatite. The logo, design and text are all made by Arvana Design Studios. Click here to see the carbonatite website (under development). This site is a bit of a departure for us — we were hired to design a site that showcases this client's favorite books and products to help men in the oldest game in the world. 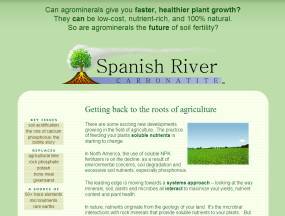 This is a fairly straightforward site design, but it's programmed and written with search engine optimization in mind. The site is made in XHTML and CSS2 in order to minimize the amount of code that search engine spiders have to sift through, and we are confident that we'll be able to place it highly in the search results once it is complete. Click here for a preview (under development).